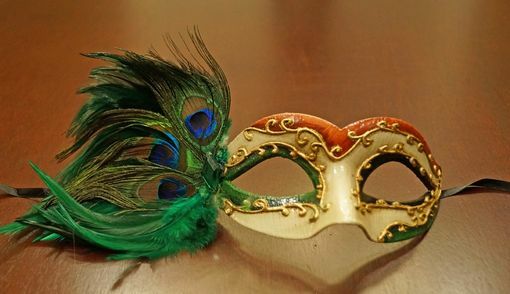 This masquerade mask has a unique hand brushed design with large green feathers on right side of mask. Mask is made of a durable molded resin. Secures with black ribbon ties. Size of mask without feather 6"W x 3"H.